Sunderkand is the famous chapter (Path) in the Shri Ramcharitmanas or Ramayana. 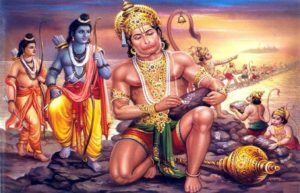 Sunderkand Path narrates the journey of Lord Hanuman to land of Lanka which was the capital city of Ravana (King of Demons) to search for Devi Sita (wife of Lord Rama and who was abducted by Ravana). It starts with Jambvant who provoked and made Hanuman ji aware about his powers. And thereafter Lord Hanuman ji got ready to set his journey to Lanka where he was not only able to find Devi Sita with his extraordinary power but also proved as to what can be achieved by dedication and faith to Lord Rama by virtue of which he was able to burn Srilanka and validate the powers of Lord Rama to Ravana. 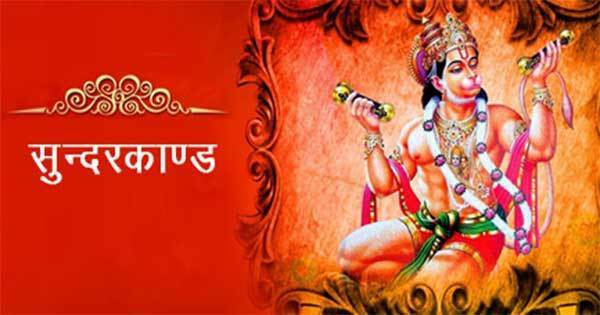 Sundarkand Katha is the fifth chapter of the Hindu holy book called Ramayan (Shri Ramcharitmanas). 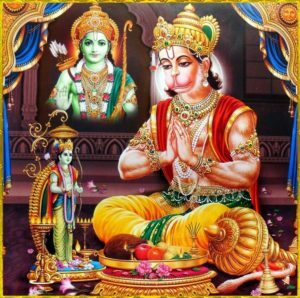 The Ramayana has been divided into following chapters by Tulsidas as per the events and importance of the life of Lord Shri Ram. 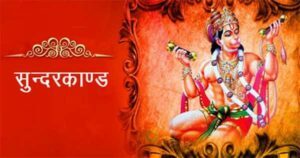 For all devotees looking for Sunderkand Hindi Lyrics written in Hindi font, below is the complete version of Sunderkand in Hindi. For all devotees, we have a free hindi version of Sunderkand Path in Hindi. For all devotees who are looking for the English version of Sunderkand, please feel free to download the PDF version of Sunderkand in English Text. The complete Sunderkand Path translated in English. For all devotees who seek to understand the full meaning of Sunderkand in English, below is the complete explanation of Sunder kand Katha! Please listen to the Sampoorna Sunderkand version by Guruji Ashwin Pathak. 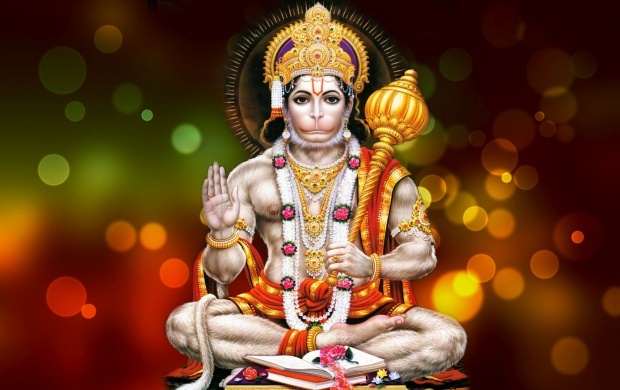 The Sunderkand is recited in Hindi in the video. It is it is believed that reciting Sunderkand on a regular basis can help ward off evils, remove obstacles in the path and bestows one with peace, happiness, and prosperity. You can chant Sundarkand daily in the morning or evening. It gives peace and keeps tensions at bay. It can remove hurdles from your path and help you achieve success in your tasks. It is very beneficial for restoring peace and harmony on the domestic front and also removes negativity. 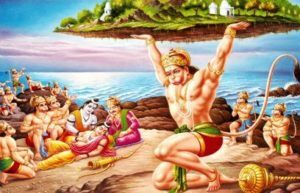 If you don’t feel confident or get scared of things, then recital of Sunderkand will help you get rid of your fears and will make you more confident. It can help improve your financial situation. It protects against diseases and ensures good health. It also confers moksha on the devotees.